Berlin’s Cold War history sites can be pretty intense – from the dramatic and severe story at the Checkpoint Charlie Museum to the DDR Museum’s arresting portrayal of life under Communism. 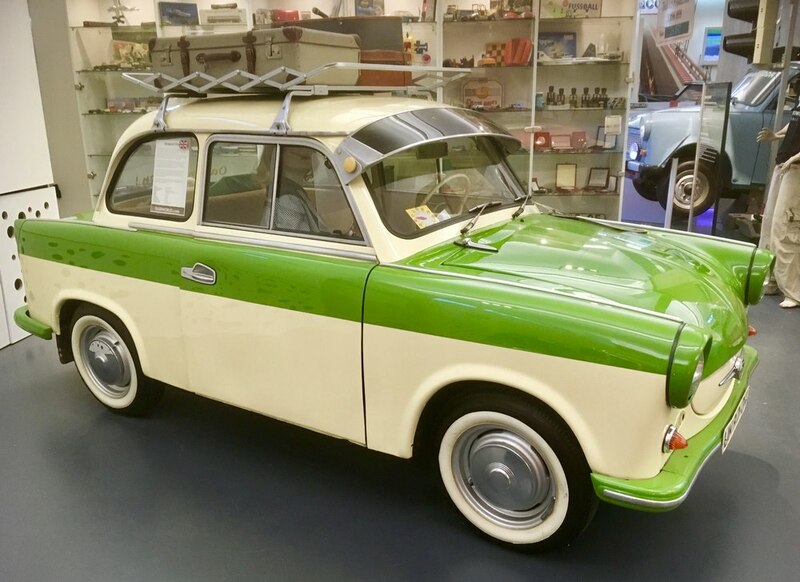 For a bit of light relief then, the Trabi Museum (only a short stroll from Checkpoint Charlie) will bring a smile to your face as you encounter the colourful delights of the little car so emblematic of the old East Germany. 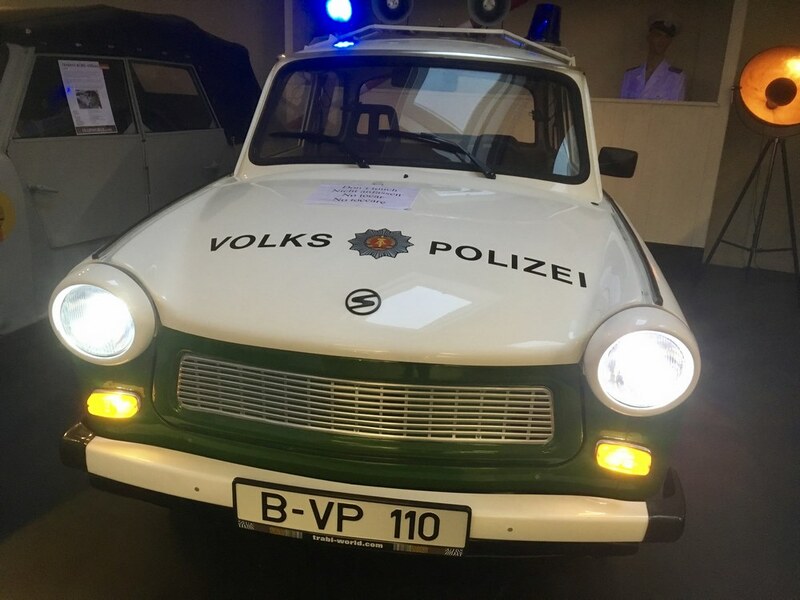 The Trabant was first produced in 1957 by the East German manufacturer VEB Sachsenring Automobilwerke Zwickau. Its body was made from Duroplast which bonded resin, wood pulp and waste cotton. The car took its name from the German word for ‘satellite’, inspired by the Russian Sputnik space mission. 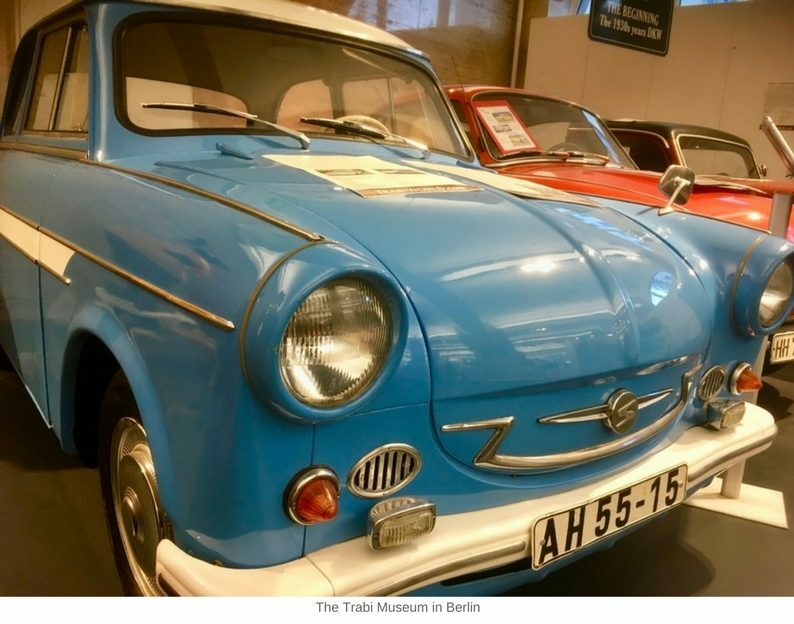 The first model, the Trabant 500 or P50 had a two-stroke engine with 18-hp. The second model, the 601, powered up to 26-hp. 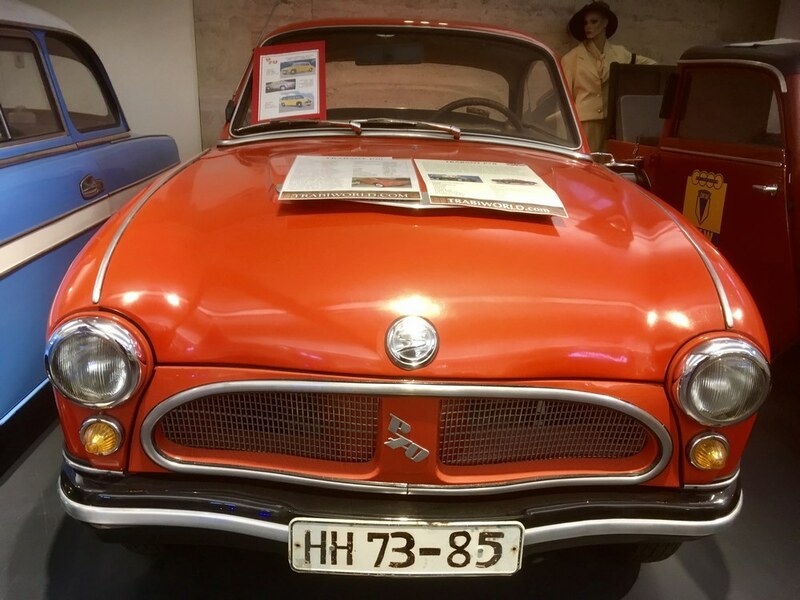 This combination of dubious production quality and lack of power meant the car was viewed with derision in the West, while for those in the DDR it was an essential form of transport and an unlikely folk hero. 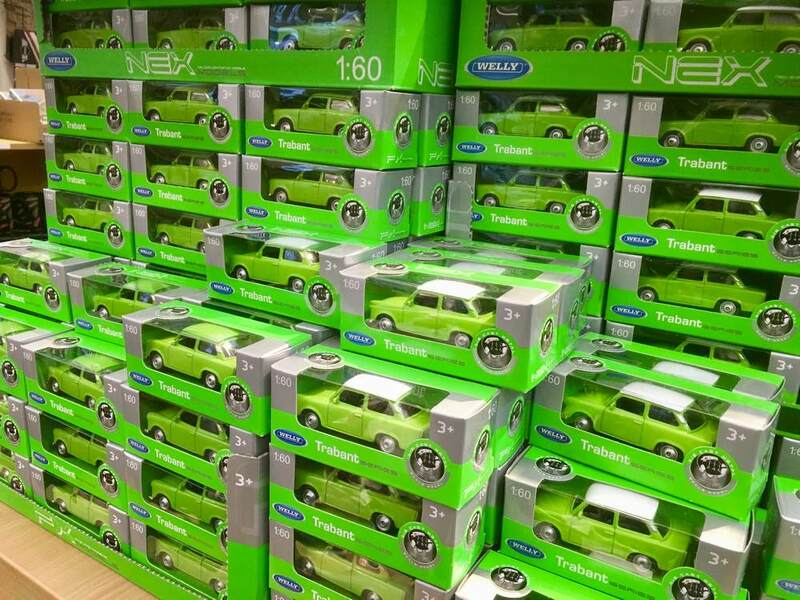 With the fall of the Berlin Wall and the end of the old DDR, manufacture of the Trabant came to a halt in 1991, with just over 3 million cars coming off the production line. There is a wide array of models on display in this small museum – from a police car, to a family tourer fitted for camping and outdoor adventure, to sportier models. 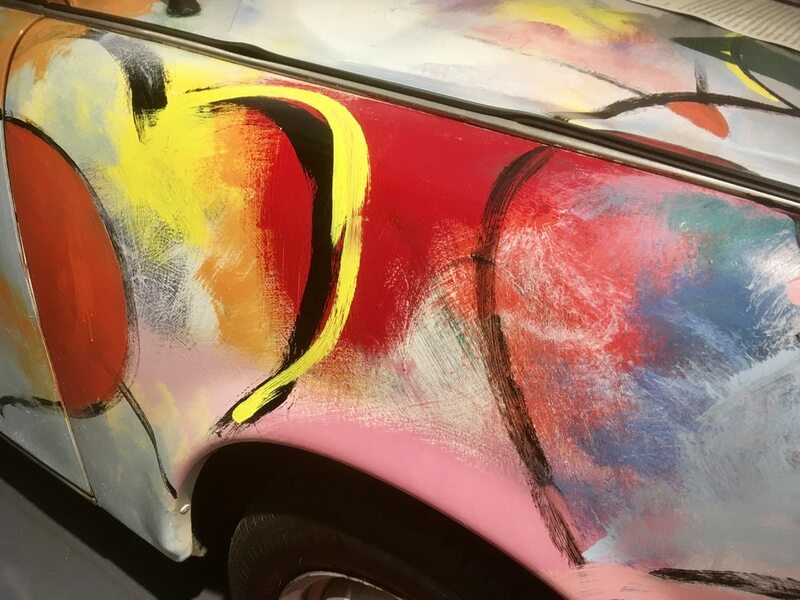 One of the cars on show is the most expensive Trabi in the world, a psychedelically-painted example which was sold at auction for charity. Quite a paint job on the most expensive Trabi ever. 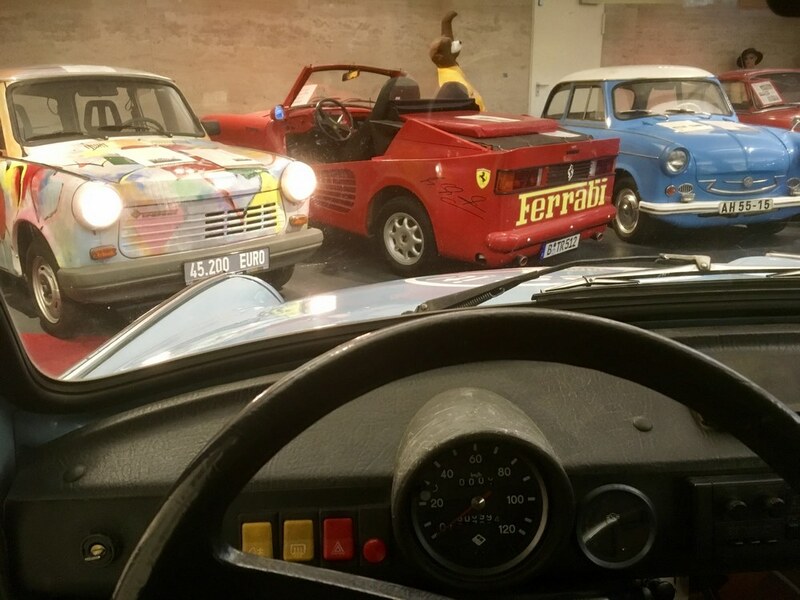 Whilst the Trabi Museum is a light-hearted attraction, it does nevertheless provoke some thought as to the relationship between ideology, technology and design. Political systems play into so many areas of life – into our transport systems, the economics of what is possible, and into our daily life experience. That’s why systems of government and policy-making are important. And that’s why the Trabi is more than just a car. Droves of people heading west when the Berlin Wall fell came in their Trabis, signalling an end to the Cold War and a political regime – and to one of its eye-catching icons.